If you want to become a fitness professional and forge a career in one of the fastest growing industries, but are finding it difficult to pay, then there are options. Below is the funding that’s currently available, as more initiatives and schemes are launched we will continually look to update this page with the most up to date information. If you’re a young learner with a keen interest in fitness, an apprenticeship could provide the perfect opportunity to enter the industry. Not only does it enable you to work and earn on the job, but it is a credible alternative to University and further education – without the need to take any long-lasting student debts. An apprenticeship provides the opportunity to gain a fitness qualification while working a fixed term job, usually in a gym, health club or leisure setting. Programmes usually last between 12-18 months and the majority of apprentices are offered permanent positions once their qualification has completed. There are currently over 13 different apprenticeship frameworks available and they cover a broad range of skills including: gym instructor, personal training, activity leadership and customer service. 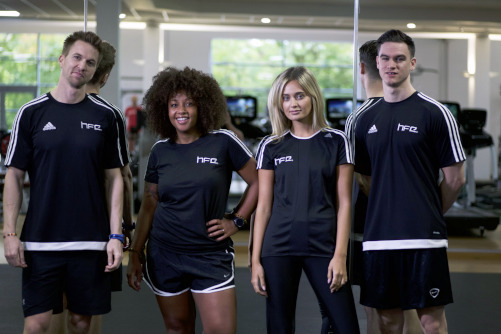 Employers and young learners can find out more about the apprenticeship programs HFE delivers by visiting our dedicated Fitness Industry Apprenticeships page, or calling our team on 01772 440 310.